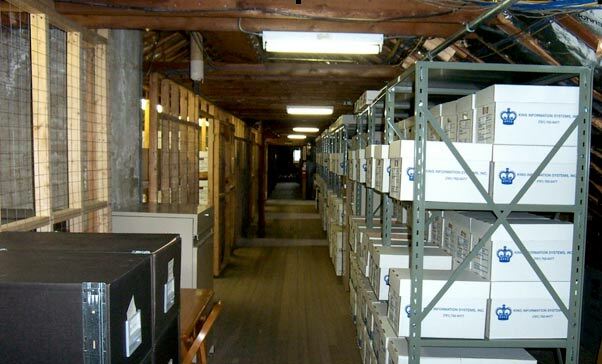 King Information Systems has been designing and implementing archival systems for records storage since 1972. Proper shelving and "human-engineered" boxes make references easy, enable you to store both letter and legal size documents for optimal efficiency, while at the same time providing "safe" access. We will also design and maintain a computerized indexing and tracking system, which is customized to fit your needs. 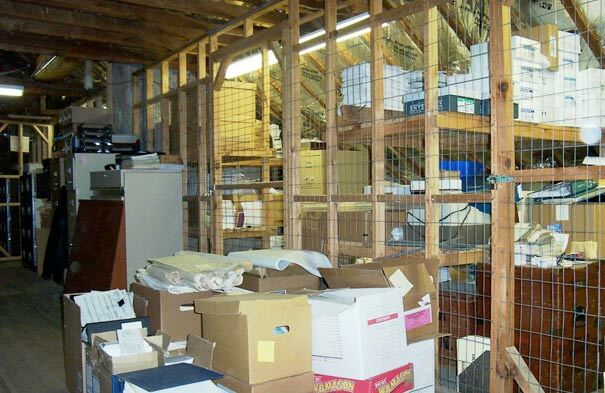 Maximum space utilization, fast and accurate reference, and cost effectiveness are all features of our Records Management Archive System. Information management is governed by an ever-growing list of laws and regulations with which businesses must comply, or risk serious penalties. Secure document storage and retrieval is no longer an option for organizations – it is a necessary extension for every business. To ensure compliance and protect your important information from prying eyes, theft, sabotage and damage, trust the 40 years experience and renowned customer service standard of King Information Systems. While it is devastating to think that you could lose the information on which your business is built, it does happen! By implementing a document storage and retrieval solution, you are not only protecting one of your business's most important assets for the future, but you're also streamlining your current business processes. KIS offers convenient document storage and retrieval that is able to seamlessly integrate with your business – whatever your industry.